Is 2 a.m. too early for last call? The last call for drinks is 2 a.m. in California, but one lawmaker believes that's just too early to set down the shot glasses and beer steins. State Sen. Mark Leno's proposal to let the liquor flow until 4 a.m. as a way to draw more tourists – and with them more revenue and jobs – is already spawning a sharp debate from Sacramento to watering holes in San Francisco and Los Angeles. Night-spot owners say a later last call will be good for business, but law enforcement officials argue that it increases the chances that cities will see more public drunkenness, violence, drunken driving and possibly fatalities. Leno's proposal, however, wouldn't set a uniform standard across the state. Instead, it would give each municipality the option to push their last call back to 4 a.m.
"It will be up to the cities whether they want to participate or not," said the San Francisco Democrat, whose district encompasses clubs in the trendy South of Market district. His bill is expected to get its first public committee hearing on April 23. At Steff's, a sports bar near the San Francisco Giants' AT&T Park, patron Armand Gaerlan liked the idea of a 4 a.m. last call. "I've lived in New York City. If it's working there, it can definitely happen here," said Gaerlan, who thinks the move would allow for making later dinner reservations. At nearby Nova Bar and Restaurant, customer Kendra Chrysler said it was a bad idea. "I'll pass. I feel like nothing good happens after 2 a.m.," she said. In Los Angeles, there is a buzz about a later last call, said Barbara Jacobs, chief operating officer at a 1920's-themed downtown nightspot, The Edison. She said the bar is making plans for a midnight breakfast and cocktail menu in case the proposal passes. "We're creatively driven and so we're going to take advantage of it," she said. Industry groups such as the California Restaurant Association and the Hollywood Hospitality Coalition are endorsing the 4 a.m. last call. Los Angeles hosted a record 41.4 million visitors last year, one million more than in 2011. And, the city said, guests spent more than $16 billion in 2012. The San Francisco Travel Association said the city drew 16.5 million tourists who spent nearly $9 billion in 2012, up from the previous year. Jim Lazarus, a senior vice president for the San Francisco Chamber of Commerce, said he believes it will be especially appealing to businesses already with after-hours permits to stay open past 2 a.m. – without serving alcohol. "There's clearly a demand," he said. "I think the younger population, especially the young tech workers – they're working hours that are different from the traditional 9 to 5. They work later, so they party later." However, law enforcement officials argue that establishments serving alcohol past 2 a.m. will produce significant problems. 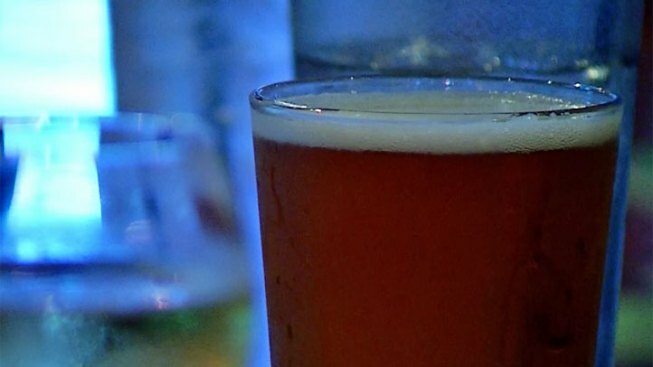 John Lovell, a lobbyist for the Sacramento-based California Police Chiefs Association, said an extended last call will further stretch many depleted law enforcement agencies that will be forced to monitor inebriated patrons when the bars close. "That will be a whole new dynamic with those leaving a bar at 4 a.m. hitting the road when the early commute is in progress," Lovell said. "That brings a whole new danger." Although San Francisco Police Chief Greg Suhr said he thinks the extended hours are a bad idea, Leno's bill has the support of Mayor Ed Lee, who said that if the bill becomes law he would seek input from police, local bar owners and neighborhood leaders before the city opts for a late last call. Ludwig Chincarini, an associate economics professor at the University of San Francisco, said recent studies in the U.S. and abroad do not provide very clear links between longer last calls and impacts on crime and local economies. Extended drinking hours may add more tax revenue, particularly from tourists, Chincarini said, but they are unlikely to bring a windfall to major California cities. "The tourists who already come here could take advantage of possibly drinking for an extra couple of hours, that's all," he said. "I don't think people are going to be traveling to San Francisco and Los Angeles to get the ... Las Vegas experience in terms of extensive drinking and partying."